The Horticultural Research Institute (HRI), a foundation of AmericanHort, has announced a wide range of research projects that will be funded in 2019. The projects range from innovations to crop production for both greenhouse and nursery segments, water management in landscapes, emergent pest issues, and economic and marketing analyses. A total of $437,200 will be awarded this year. The Horticultural Research Institute’s mission is to direct, fund, promote, and communicate horticulture research. Here is a brief look at the projects receiving funding in 2019; watch for more details on some of these on GreenhouseGrower.com. How do consumers make buying decisions? This project aims to tackle that question about plant purchases. New technologies such as a portable device that tracks eye movement will be used to investigate visual cue selections that lead to plant purchase. Packaging, in-store signage, brand, and price may impact consumers’ choices. Results should help retailers improve the shopping experience. Increasing the number of students and graduates in horticulture serves the entire horticultural industry. The Seed Your Future project aims to do just that through promotion of horticulture among young people and in academic settings. More than 150 partners are involved, and HRI is pleased to continue support of this work. Applying auxin as a foliar spray has several advantages over traditional quick-dip methods for rooting cuttings, such as potential improved worker safety and application efficiency. Foliar auxin sprays are also becoming an integral part of propagation systems using automated, machine-assisted sticking robotics. 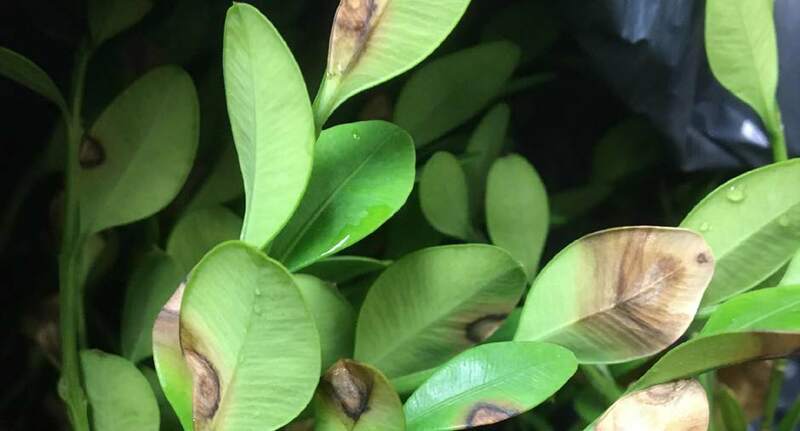 However, not all woody species respond to foliar spray as well as a quick dip application for rooting, and there are questions concerning application timing as well as the optimal number of applications. Basic questions about auxin movement in cuttings related to spray volume, single vs. multiple applications, and use of a surfactant will be addressed. Feeding on more than 65 known species, spotted lanternfly (SLF) poses significant threats to nursery production and landscapes, as well as agricultural commodities. SLF was first found in Pennsylvania in 2014 and has since been sighted in neighboring states and beyond. USDA-APHIS is focused primarily on the impacts to agricultural crops, with minor resources dedicated (to date) to environmental horticulture. Movement of SLF in the landscape will be tracked, host tree preference by life stage will be determined. Information learned will help environmental horticulture protect landscape and nursery investments. Smartphones have revolutionized the way we find information, like monitoring the weather and remotely adjusting your heating and lighting systems. Wouldn’t it be great to add measurement of your crop’s nitrogen needs to the list? This tool could help enable timely decisions about fertilizer needs in production by bypassing the need for lab analysis (which can take up to seven days), all the while saving costs and labor. Clogging of irrigation main pipes and emitters is a persistent problem in both greenhouse and nursery production. One greenhouse operation reportedly dedicated more than 13,000 man-hours to inspect, clean, and replace clogged emitters, filters, and irrigation lines in one calendar year. Caused by algae, the biofilm responsible for creating this problem is difficult to manage. Control products exist but could potentially damage crops. As an alternative, manipulation of the irrigation system will be studied as a means to control the biofilm.